I remember clearly when I learnt that I was getting effective communication wrong. 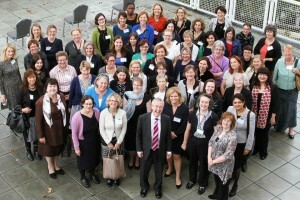 I was opening a BIS Senior Civil Service get-together in early September 2011. The department had just completed the biggest shake-up in decades, losing 20% of our permanent staff with another 25% changing jobs just two months before. We had completed the restructuring and I thought this was a chance to talk about the way forward. I was wrong. What people really wanted to talk about – and rightly so – was how really difficult the experience had been. How upsetting for people no longer working with old friends or getting used to different working structures. How, despite our best efforts, people felt that the process has been done to them not by them. So it was a memorable day, for all the wrong reasons. But one very good thing came out of it. I realised that leading real people through real change in tough times had to start by listening. So, to rebuild confidence in our leadership and the direction of change, we set up groups to listen to people’s ideas about how we should work together now that we had some hard-won financial stability. My job was to listen and not to talk. We ended up with 57 key ideas on the walls of BIS. They ranged from creating new BIS values to introducing Yammer. We set up task-and-finish groups to take them all forward. We got feedback at every stage. Some worked better than others. But together these changes built a new culture on which we could add upgraded IT and better ways of working. I had to work at listening more. It was always tempting to go into transmit mode. To build the trust which people need to be open meant meeting small groups in a neutral space, with no fixed agenda. And all of us being honest about who we were and how we wanted to do things in BIS. Our last SCS get-together was very different. The only talking I did was about me as a person and the challenges I faced, personally and professionally, over the years. Other colleagues did similar things. We practised our storytelling – what matters to us in our jobs and in our lives, and what gets us out of bed in the morning to come to work in BIS. We listened to each other. As leaders we have to listen more carefully and more often to all of our colleagues. Our job is to make their jobs easier. Most of that is about listening to them. Some of it is about changing things. When we do talk, it is good to acknowledge people’s contribution i.e. “well done” or “thank you” – to celebrate our shared success and to recognise progress on tough problems. Then it is time to listen some more. If you want to develop your skills in this area the Communicating with Confidence resource provides a range of learning products to assist leaders in developing their communication skills. Talking about poor communication! What is BIS? What an uplifing message! Can also be applied,will be effective and beneficial in many other aspects of life. This is a statement I wish I read yesterday. Thank you Martin, for such a honest, informative and helpful statement. It is something I will remember when attending meetings or having discussions with colleagues, and loved ones. Thank you. That doesn't seem a very 'diversity aware statement'. Good to hear. Still way too many Senior Managers are on transmit all the time and regard listening to their staff to be, either, a sign of indecisivness or something to be done while they are sorting through an email or 'about to rush of to a meeting but I've got 2 minutes'. In this respect, much can be learned from the field of Counselling where,as a professional listener you are constantly using (what we call in business) active techniques (empathy, reflection, positive regard). I commend Martin on his honesty, but listening is a basic skill that all SCS should have nailed, long before they reach such a senior position. Once again though, well done Martin, I have nothing but the greatest respect for those with the integrity to openly discuss such a personal development issue. Hear, hear (pun intended). But I hope this doesn't herald a shift towards thinking that listening is the most important aspect of the conversation. I agree listening is usually the first requirment, but as well wanting to be heard, people do expect decisive direction at a pivotal moment. Getting the balance right in uncertain times is the big problem and the two contradictory expectations will vary in the position of their pivoting point according to each individual. The trick seems to be in spotting the change in general mood, which I think requires watching crowds as carefully as listening to each voice. It's not something I get to to do - thank goodness, but the best leaders I've observed do it almost naturally and very successfully. This is a skill that the civil service should be selecting for but so often fails to recognise. But, the trouble with maxims / sayings is that they tend to suggest other things, e.g., the maxim does not consider those who talk out of their other mouth, and make things worse. Well done Martin for a very open, honest and sincere blog. More leaders like this please. Learning to listen is something that we should all do, but very few master. It is the difference between working as a team or by oneself. I infrequently meet a manager who listens properly, but it is a joy when I do. Very well said Martin. I am one of the lucky minority. I work in an office where everyone's ideas and suggestions are sought and discussed before any decisions are made, and this really does make you feel part of the team. However, I know that several of my colleagues in the operational offices are at the mercy of senior managers, none of whom possess the wit, intellect or imagination to make a positive decision, but still insist on ignoring the advice from their staff who actually understand the processes involved, and can see the pitfalls before they arise. The sad thing is that those same managers are far too involved in their own ego's to recognise themselves in Martin's example. A very uplifting and refreshing message that demonstrates that having the humility to recognise shortfalls in ones attitudes and behaviours is not a weakness but an opportunity to make things "better" . Thank you Martin. I only hope that others will follow your example. Best of luck Martin. What i have seen regarding leadership skills down from assistant T/L to SEO is very poor. Very well said. A good lesson for us all. This is nothing new. I remember the "two ears and 1 mouth and use them in that order" discussion on a coaching and mentoring course (completely outside DWP) some 15 years ago. What is new is the idea that it's a good idea for DWP leaders to do this. I fear it won't happen as there are too many "leaders" who simly don't get it. It has already been mentioned there are egos involved and these skills are very clearly not part of a promotion board judging by the behaviours of the candidates that do or don't get selected. To Martin, I wish you every success with this. Perhaps some Performance Improvement Plans for some (most) leaders may be in order?